“I can actually look back to a single moment that propelled me into starting my eponymous brand,” recalls Nirav Modi, 46. A friend had requested him to design a pair of earrings for her while he was still working with his uncle, Mehul Choksi, chairman and managing director, Gitanjali Group, in Mumbai. (Modi was brought up in Antwerp, after his father moved their business to the Belgian city in the 1960s, but wanted to work in India and hence had moved to Mumbai.) Although initially reluctant, he finally gave in and started sourcing diamonds to match the high quality standards he had set for the jewel, and ended up finding them in Russia. The happiness his friend expressed upon seeing the jewel inspired Modi to create his own brand, breaking away from his uncle. Making that pair of earrings unleashed a latent passion and flair for designing jewellery. That was 2009. The first ever NIRAV MODI store opened in Defence Colony, New Delhi, in June 2014. But it is the opening of their store on New York’s Madison Avenue that Modi holds close to his heart. “The day of the grand launch of our first boutique in the US on Madison Avenue in New York on September 8, 2015, was a big milestone for us. We had clients and press from across the world, and it started the brand on a new trajectory. Since then, we have expanded to the UK, Hong Kong, Singapore, China, and are opening more boutiques in the US this year, in Honolulu and Las Vegas,” Modi says. It has been more than 20 years since Rajesh Mehta opened his first retail store, Rajesh Jewels, in the ground floor of Batavia Chambers in central Bengaluru in the early 1990s. “We bought the basement of the property to set up a manufacturing facility. We also set up a small jewellery showroom,” says Mehta. Today, he owns more than 60 percent of Batavia Chambers—his office is located behind the showroom—and Rajesh Jewels has been renamed SHUBH Jewellers. 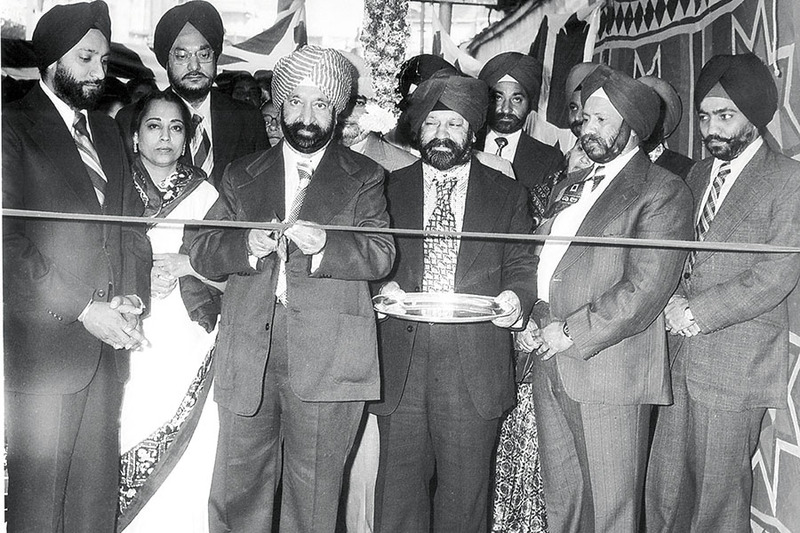 Mehta ran that single showroom for over two decades, concentrating on his gold export business. He has steered the company through important milestones, especially the IPO in 1995, and “in 2013, we decided to get into retail in a big way, which was another turning point in my business,” he says. Since then, Rajesh Exports has opened about 80 retail outlets, largely in Karnataka, and the manufacturing unit has moved out of Batavia Chambers; it now has two manufacturing units—one in Whitefield, Bengaluru, and the other in Kochi. “My future is in retail. I want to be the largest retailer of gold jewellery in the world,” says the 53-year-old billionaire, whose company is the world’s largest exporter of gold. About three years ago, a rather telling photograph was taken of the four brothers of Kochi-based The Muthoot Group. The picture, according to MG George Muthoot, the eldest of the four brothers, shows the unity and strength within the family. 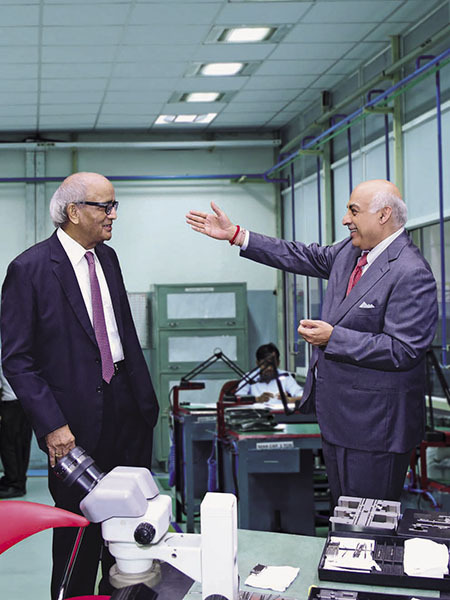 The photograph is of MG George, 67, with George Alexander, 61, managing director, and joint managing directors George Thomas, 66 and George Jacob, 64. 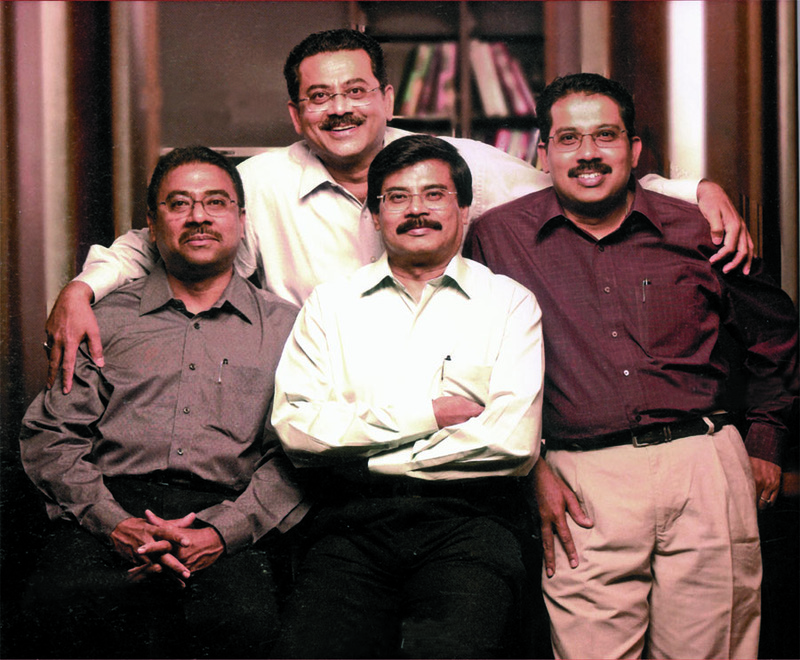 The four brothers represent the 19th generation of the Thevervelil family (now known as the Muthoot family) in Kerala’s Kozhencherry that has a business legacy of over 800 years. The Dhingra family entered the paints business in 1898. But it was only in late 1969 that Kuldip Singh Dhingra, then 22, shifted to New Delhi to expand the family business in the capital, and launched the Rajdoot brand. Business was conducted from their family-owned house in Golf Links, while his brothers—Gurbachan and the late Sohan—continued to run the paint factory in Amritsar. Dhingra’s big leap came in 1972, with the inauguration of an office at Ajmeri Gate, which served as the first office in New Delhi. “I was doing everything—booking orders, receiving paint from Amritsar, supplying it and taking payments from customers,” recalls Dhingra, 70, who, along with Gurbachan, 67, bought Berger Paints from United Breweries’ then chairman Vijay Mallya in 1991. They set up a factory in Sultanpur, from where they supplied paint to north India and, subsequently, to the former Soviet Union. The Dhingras hold on to their roots. They still own the Golf Links house and the Sultanpur factory, while the rented Ajmeri Gate office remains a sales and distribution point. 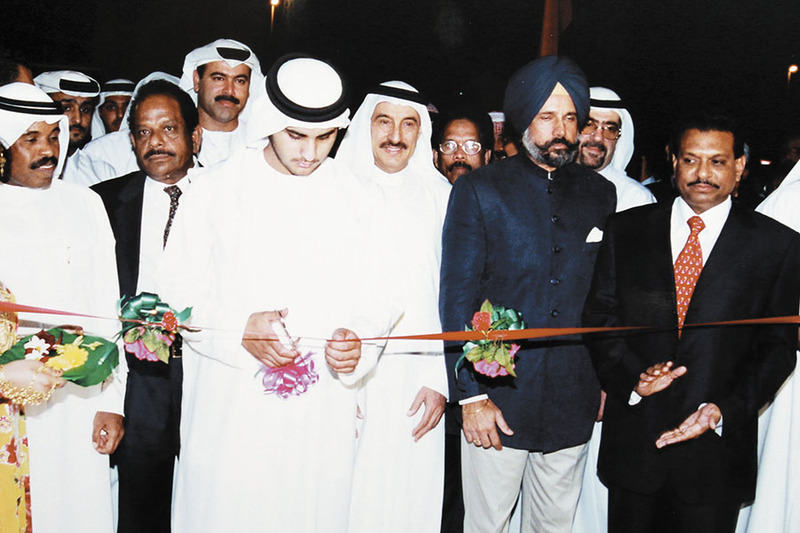 “If I were to pick an event that turned out to be a game changer for my business, it would be the opening of our first LuLu Hypermarket on November 6, 2000, in [Al] Ghusais, Dubai,” says MA Yusuff Ali, 61. LuLu has since expanded with bigger and better hypermarkets in all major cities of the Gulf Cooperation Council (GCC) apart from Africa, India and east Asia. It’s difficult to think of Motherson Sumi Systems without thinking of Maruti Suzuki. The country’s largest auto parts maker and one of India’s leading carmakers have been working closely together for the last 33 years. In November 2016, Motherson Sumi inaugurated its new-generation electronic junction box plant in Noida. 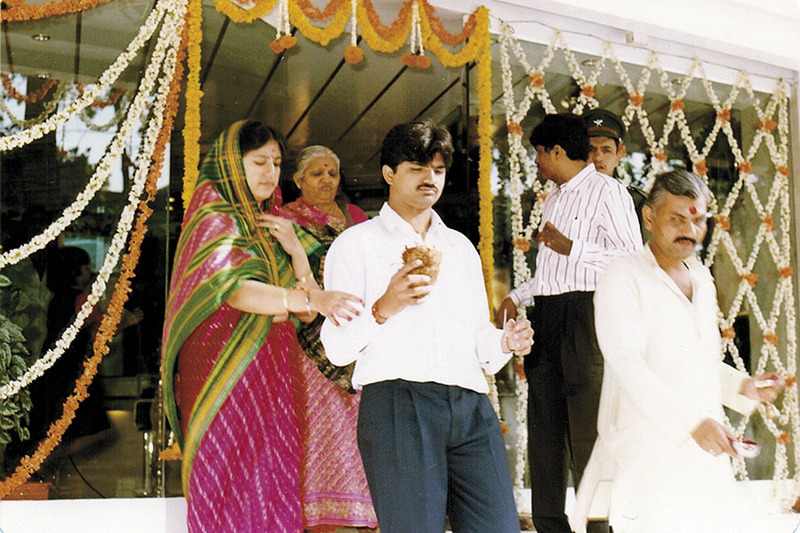 In the photograph, taken at the new facility, Sehgal is seen briefing Bhargava of the new developments. “We have taken his [Bhargava’s] advice and followed it to the hilt through our most tumultuous times. If I were to consult one person for true guidance on any major decision, it would be Bhargava saheb,” Sehgal says.